Welding Productivity’s main goal is to keep our readers informed and up-to-date on the latest technology and products in the welding industry. Here’s a look at some of the latest-and-greatest welding consumables available today from leading manufacturers. Esab Welding & Cutting Products introduces Coreweld C6 LF. This low-manganese emission, high-efficiency metal-cored welding wire was developed in response to new EPA regulations and guidelines from the American Conference of Government Industrial Hygienists (ACGIH) for manganese exposure limits. Coreweld C6 LF has more than 50 percent lower manganese content and reduces the manganese levels in welding fumes compared to standard metal-cored wires of the same classification. Esab’s formulation allows users to reduce exposure to manganese in the welding environment while providing low weld metal diffusible hydrogen levels, which helps avoid hydrogen-induced cold cracking when welding high-strength steel. The new wire offers the same features as Esab’s standard Coreweld C6, including consistent arc stability, low spatter, good bead shape and minimal cleanup. Coreweld C6 LF is suitable for handheld and robotic or automated applications in the automotive industry as well as for civil construction, mobile and heavy equipment, shipbuilding, railcar manufacturing and general fabrication. 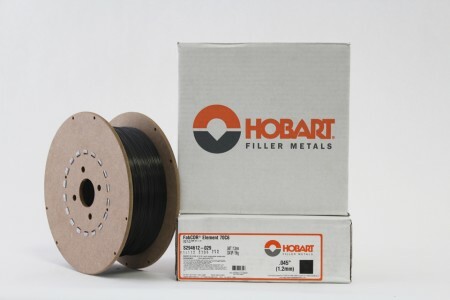 Hobart Brothers Co. has expanded its FabCOR Element family of low-manganese wires to include a new metal-cored wire, the FabCOR Element 70C6. The new wire, like the six FabCOR Element gas-shielded flux-cored wires, offers the low manganese emissions of similarly classified American Welding Society (AWS) A5.18 E70C-6 wires available in the market. The low manganese levels allow companies to conform to increasingly strict environmental regulations. FabCOR Element 70C6 offers additional benefits, including increased deposition rates compared to solid wires, which results in faster travel speeds. The wire has been specifically formulated to simplify silicon removal, reducing the need for post-weld cleanup. It also offers balanced arc characteristics, providing a smooth, penetrating transfer and a consistent, high-quality weld. The new wire provides low diffusible hydrogen levels to help mitigate the risk for hydrogen-induced cracking. When paired with a 75/25 argon and CO2 shielding gas mixture, the FabCOR 70C6 offers 2.0 ml of diffusible hydrogen per 100 g of weldment. Operating with a 90/10 shielding gas blend yields ≤4.0 ml of hydrogen per 100 g of weldment. FabCOR 70C6 is suitable for single- or- multiple-pass welding for heavy equipment, shipbuilding, railcar and general fabrication applications and is offered in industry-standard diameters of 0.045, 0.052 and 1/16 in. on 33-lb. spools or 60-lb. coils. Select-Arc Inc. introduces 70C-6 ZN, a carbon steel composite metal-cored electrode designed to weld zinc-galvanized and primer-coated steels. The electrode provides a stable arc with fine spray transfer that produces spatter-free welds at high travel speeds (80 ipm) with improved sidewall fusion. It welds over zinc-galvanized and primer-coated steels by offering a stable arc through standard constant voltage and pulse parameters. Select 70C-6 ZN has an E70C-6M-H4 classification per AWS A5.18. It is available in 0.035, 0.045 and 1/16 in. diameters and is suitable for welding thin galvanized materials and bare carbon steel components that require spatter-free surfaces. 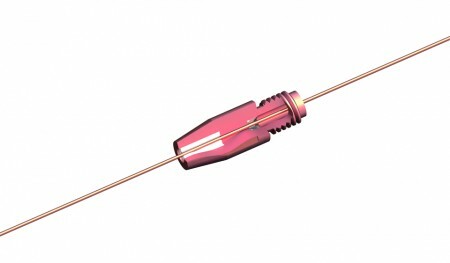 The steel insert in the S-TIP guides the wire on a short and defined copper path for current transfer. When standard contact tips are used, current transfer can move over the whole bore hole length. This changes the wire stick-out and, thus, they process very quickly at times. In contrast, the defined current transfer of the S-TIP stabilizes the process, which can be seen in terms of reduced spatter formation and improved seam finish. According to the company, the 30 to 40 percent increase in welding speed with identical weld penetration depth clearly leads to increased productivity and to lower gas and current consumption. The amount of wire used is reduced due to the stable arc and reduced spatter formation. The small heat influence zone has a positive effect on the quality of the weld seam. These combined factors reduce potential reworking expenditure and increase system availability. The lifetime of the S-TIP is also said to be four to five times longer than that of standard contact tips, saving on wear parts. The secret lies in the steel liner, which takes the strain off the contact point, and in the ceramic insert, which reduces wear at the wire output. 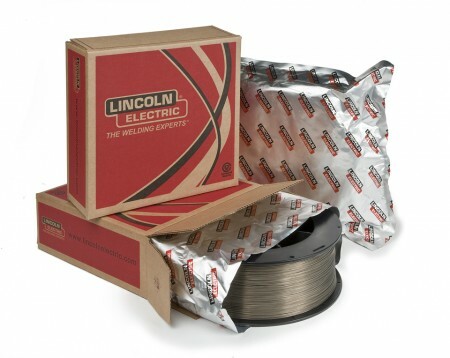 Lincoln Electric offers UltraCore gas-shielded flux-cored wires to create a tough weld that stands up to temperature extremes, corrosive saltwater, constant moisture and other adverse conditions, such as those found in offshore fabrication. 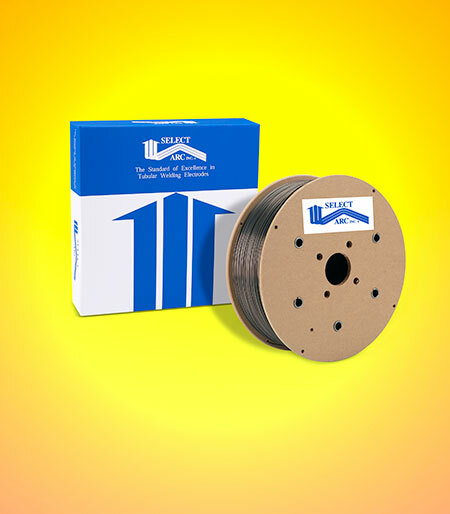 UltraCore wires are offered in four distinct platforms. Classic Series wires offer enhanced puddle control and are suitable for low to moderate wire feed speeds and voltage ranges. These wires produce good wet-in characteristics and offer flexibility to manipulate the puddle. With HD (high deposition) Series wires, a faster freezing slag and optimized formulation produce higher deposition rates and a flat bead shape, even out of position. These fast-freezing characteristics allow the user to set procedures once and get high deposition rates, regardless of welding position. The wires produce premium arc performance at moderate to high wire feed speeds and voltage ranges. SR (stress-relieved) Series wires maintain key mechanical properties before and after post-weld heat treatment. These wires perform best at low to moderate wire feed speeds and voltage ranges. Plus Series wires deliver unparalleled arc performance with comprehensive best-in-class properties in as-welded and stress-relieved conditions. These wires maintain impact toughness at temperatures as low as -60° F (-51° C), and all are designated H4, meaning each offers a low diffusible hydrogen level of 4.0 ml per 100 g of deposited weld metal. This series performs best at moderate to high wire feed speeds and voltage ranges.